In the construction industry, where a single client can bring you thousands in profit, even a minor improvement in your email response rate can make a difference in your company’s success. A/B testing helps you find out what your email subscribers respond to best, so you can optimize your campaigns to pull in clients. Most email marketing platforms provide built-in tools for A/B testing. 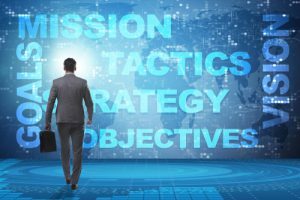 Running a few tests might show you that an offer of a free strategy session on educational facility construction gets more interest than a downloadable case study on the same topic or that your prospects respond better to Thursday emails than to Monday ones. Adjust your future campaigns to reflect this, and you can bring in new clients you wouldn’t have seen otherwise. If you’ve been in the industry for a while, it’s only natural to assume you have a good feel for what your prospects will respond to. Without data to back up your assumptions, though, you could be making mistakes that are costing you clients. 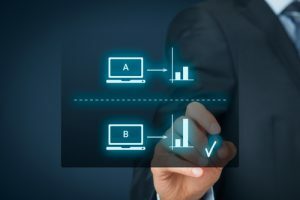 A/B testing gives you hard data on the open rate and click through rate of your emails, and can even track the conversion rate of your readers once they reach your website. You’ll know for sure if including several photos in your home improvement newsletter really gets the best results or if a single great photo actually works better. When you do see an improved response, you’ll have proof of what caused it so you can reproduce your results. It’s part of human nature that stories hold our attention and teach us more than dry facts and data. The same holds true when you’re telling potential clients about your construction company. 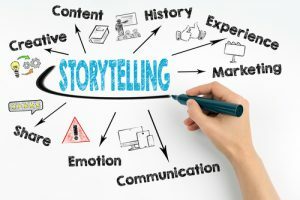 Storytelling helps you attract new clients by painting a clear, emotionally resonant picture of the benefits your company offers. Before they hire you, your would-be clients want some assurance that others have had success working with you. One of the best ways to give them that is by telling the stories of your clients who’ve gone on to great things. It might be the story of the boutique hotel you built that’s now seeing above-average occupancy rates or the auto shop owner whose new warehouse has let him expand into a new line of business. Sharing success stories like these lets your prospects envision themselves as one of your future successful clients. When they can do that, they’ll be excited to get in touch with you. When you write about your clients, with their approval, talk about the individuals involved on a personal level. People relate to people, not companies. Stories of overcoming obstacles are a chance to show off your skill, flexibility, and ingenuity. They tell your prospects you can handle anything their project throws at you. They also show you value transparency, assuring your prospects they can trust you to be upfront when difficulties turn up. To really showcase your competence, tell stories that come from challenges you chose to tackle, such as building a multistory office complex on peaty clay or meeting a client’s stringent demands for environmental sustainability. Stories like these work especially well for attracting prospects with specific requirements most construction companies can’t handle. Once you have your stories written, get them out to your target audience by publishing them on your blog, including them in your newsletter and lead magnets, and promoting them on your social media accounts. 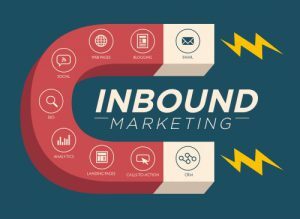 Valuable content is only one component in a lead-generating blog strategy. 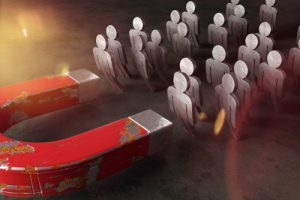 To bring in the kind of construction leads you want most, you’ll need to zero in on your target clients’ interests, then guide them toward getting in touch with you. When a potential client lands on your blog, they might love the guidance and insight you provide, but then click away and completely forget about you by the time they’re ready to hire. By offering a tempting “bribe” to sign up for your mailing list, you can capture their contact information immediately and then follow up. Your bribe could be an email course, a video series, a detailed case study or any other content, as long as it provides valuable information that addresses a specific, pressing issue your readers face. 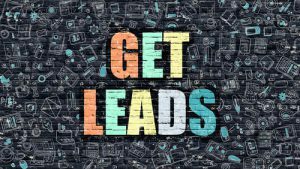 Attention-grabbing calls to action (CTAs) strategically placed in your blog posts are the final step in turning your readers into leads. Your CTAs should give your readers a good reason to hand over their contact information. “Sign up for our newsletter now” doesn’t cut it. Instead, try something like “Get your free mini-course on sustainable office construction” or “Sign up for our newsletter and be the first to hear about profitable new office building trends.” Place these CTAs prominently within your posts as well as at the end. Whether your target clients are property developers and investors or business owners in need of new facilities, chances are they’re on LinkedIn. 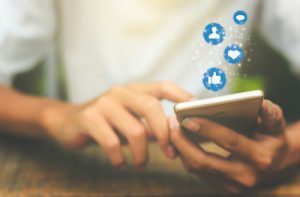 With preparation and a little patience, you can build relationships with the professionals who use this social platform and turn them into paying clients. Before you do anything on LinkedIn, optimize your profile and tailor it to the interests of your ideal clients. Include a headshot, and photos and videos of your finished projects. Build up your connections, recommendations, and endorsements. With your profile in order, start joining LinkedIn Groups where your target market spends time and aim to become a recognized contributor. Share resources with images and videos, ask thought-provoking questions, and offer actionable advice and insight. Once you’ve earned the group’s trust, reel in potential clients with a lead magnet. Create free, high-value content, such as an in-depth blog post or video, that includes an offer for an “upgrade” with further information your prospects can receive in exchange for their email. Then share your free content with the group. By founding your own group that’s tightly focused on your ideal clients, you can attract more targeted leads and have greater control over how you interact with them. If you want to work with retail property developers, you might call your group the Choice Retail Property Developers Network. Search LinkedIn profiles and put together a list of around 500 potential leads. Contact each with a short message inviting them to join your group. 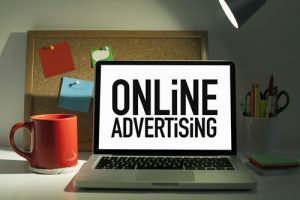 Paid LinkedIn advertising, such as sponsored content and InMail, is another way to attract members. Keep your group active by contributing valuable content and interacting with your members. When you have around 10 active members, start moving your relationships off LinkedIn. Create a free webinar aimed at helping members solve a specific, common problem. Go for around 80 percent educational content and 20 percent sales-oriented content. Then invite your whole group and network to your webinar.